THE OLYMPIC OPENING CEREMONIES What really goes on behind the scenes! Get the perspective of a participating athlete on everything you see and everything you DON’T during the Olympic Opening Ceremony! The 2018 Winter Olympic Games will kick off with the grandeur of the Opening Ceremony at 8:00pm on Friday, February 9th. 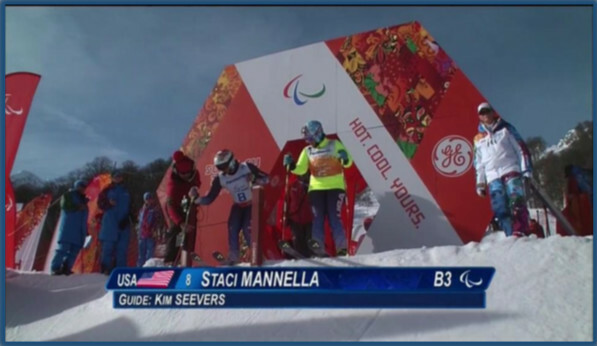 ACF member Kim Seevers competed in the 2014 Winter Paralympic Games as the sighted guide for visually impaired alpine ski racer Staci Mannella. Staci and Kim competed together for seven seasons and won World Cup gold, numerous National and North American Cup championships and had two 6th place finishes in the 2014 Paralympics in Giant Slalom and Slalom. Friday Night Fights – Battle of the Sexes!